Our Members of Parliament work for us and answer to us. Our MP in Cheltenham is Alex Chalk. Alex Chalk is a Conservative who voted Remain. He now backs Theresa May’s deal and we are campaigning to persuade him to support his constituents (56% of whom voted Remain) to back a People’s Vote instead. To see Alex Chalk’s voting record, please visit They Work For You. 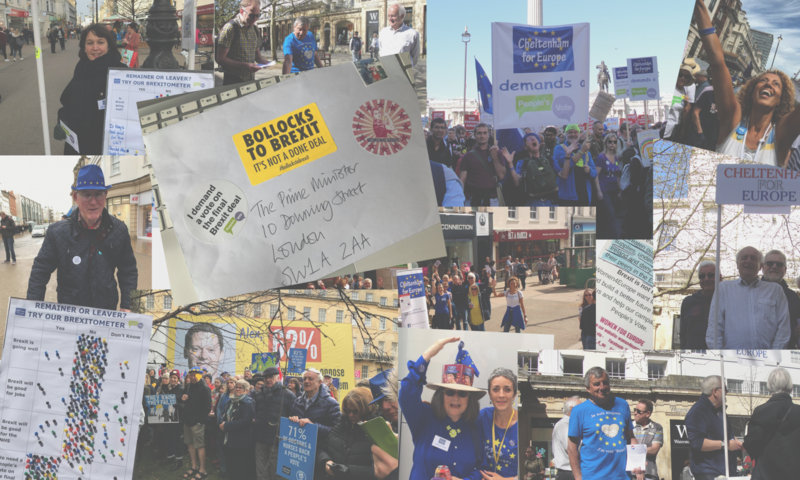 If you don’t live in Cheltenham but still wish to act, why not contact your own MP? You will find details including how to contact them at They Work For You, a charity which aims to increase awareness of what MPs do and hold them to account. Our Members of the European Parliament are vital for ensuring that the lessons from Brexit are learned in the EU Parliament. The South West and Gibraltar are represented by six MEPs whose details are on the European Parliament website.